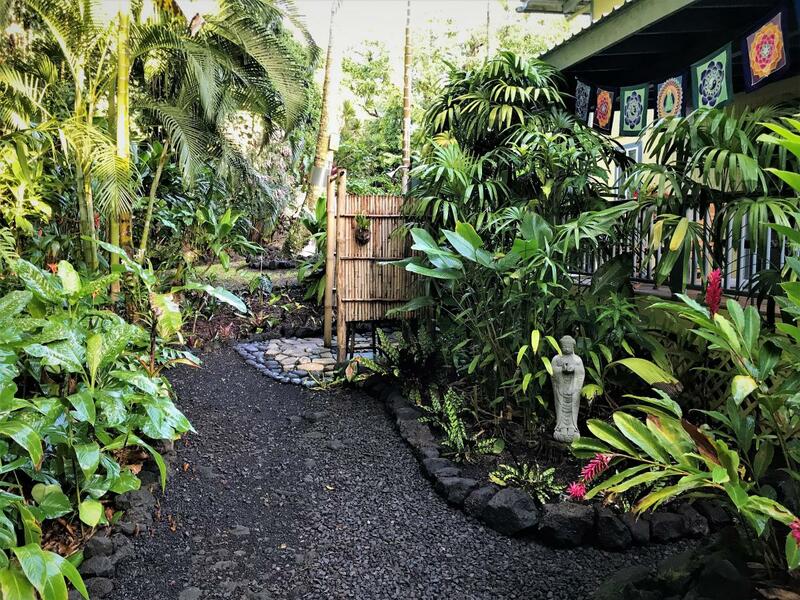 Hale a Kimo Kali is located in the Puna district, where the jungle meets the ocean. 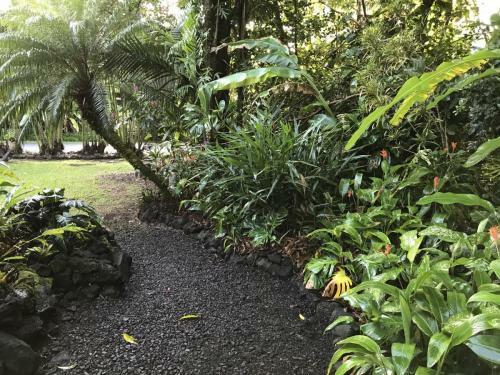 On the east side of Hawaii we receive an abundance of warmth, moisture and sunshine, ideal conditions for tropical gardening. 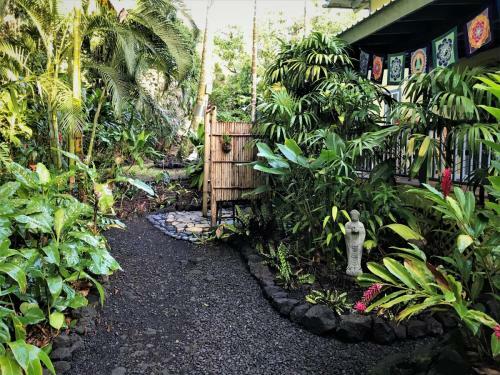 Here in Kehena Beach is our little slice of paradise, we have privacy and are surrounded by jungle. 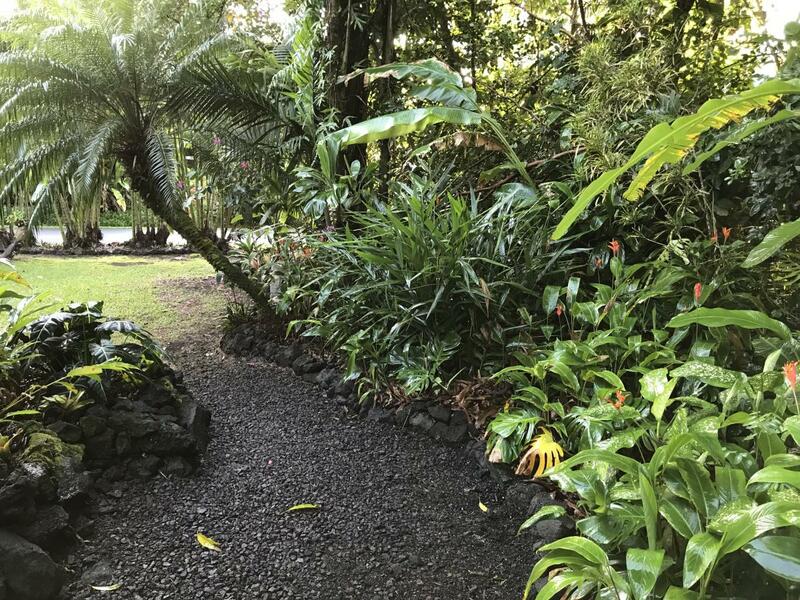 Both of us enjoy gardening and on our property we have begun creating gardens & pathways that, we will continue to add to with each visit. 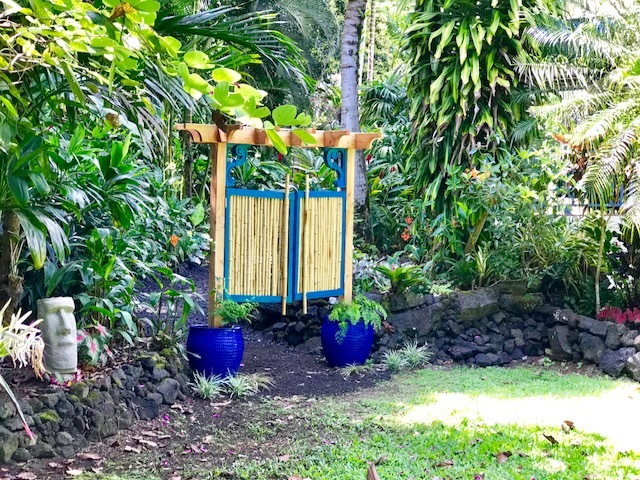 There is an outdoor shower with hot and cold water where you can wash off amongst the tropical greenery after a day at our black sand beach. 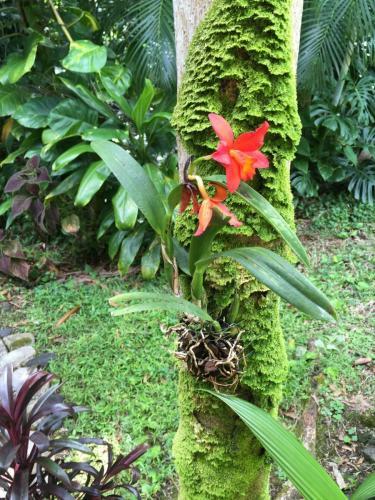 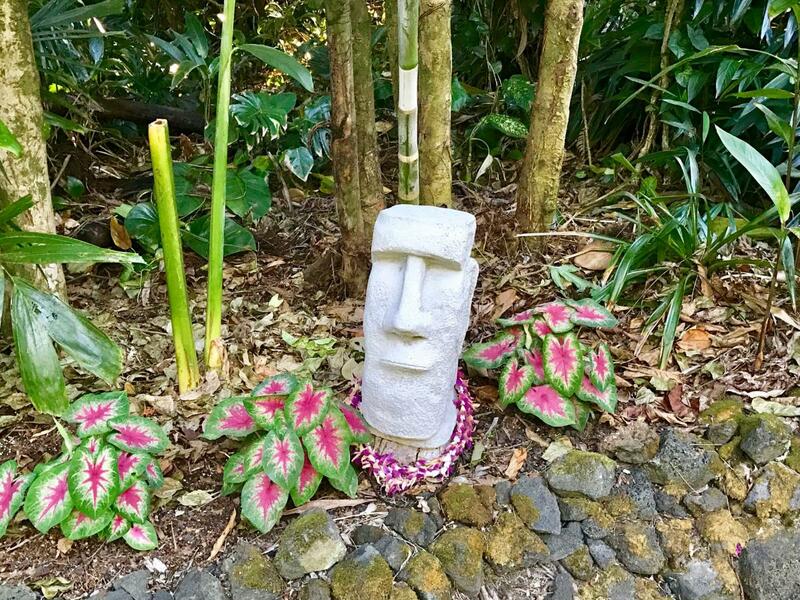 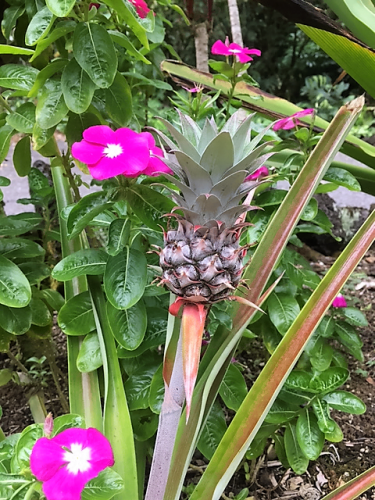 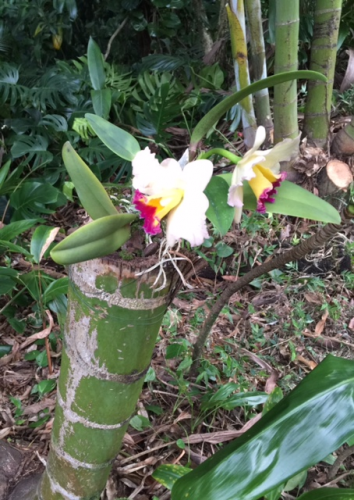 While exploring the grounds you will see a variety of beautiful tropical flowering plants including: bromeliads, ginger, heliconias, gardenia, orchids, birds of paradise and many others. 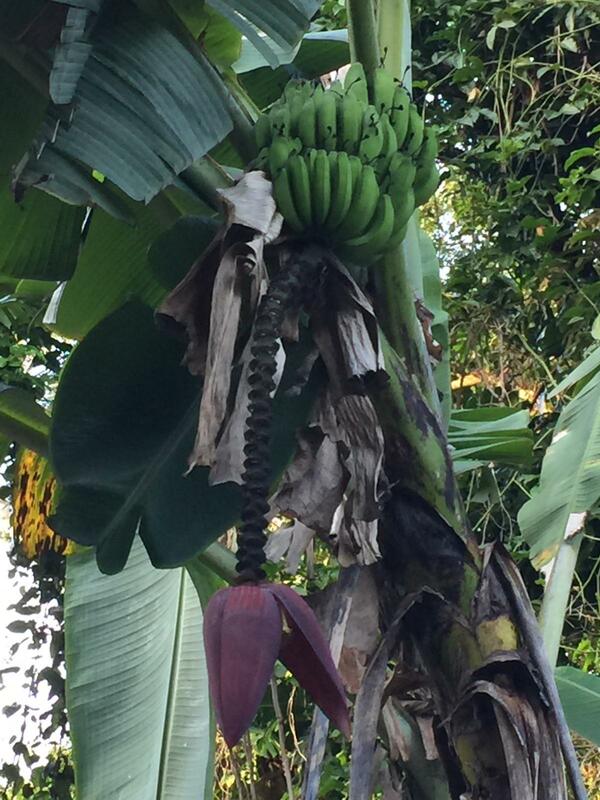 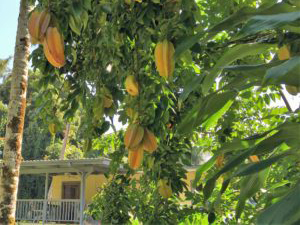 We have on the property edible fruits including: bananas, coconuts, lemon, mango, avocado, starfruit and pineapple. 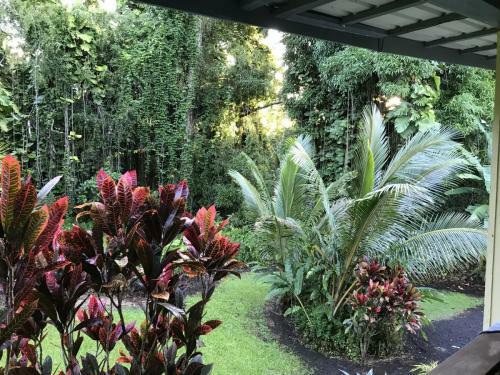 Our goal over time is to create a little tropical oasis that looks natural and inviting for us, family and guests to enjoy.